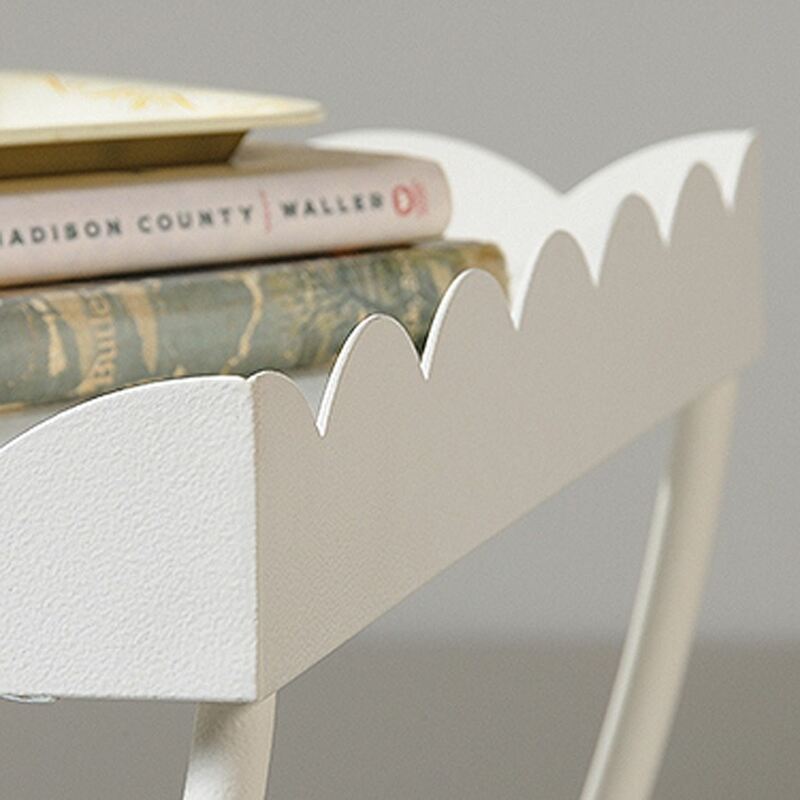 Eden Rue Side Table Cream By Sauder. 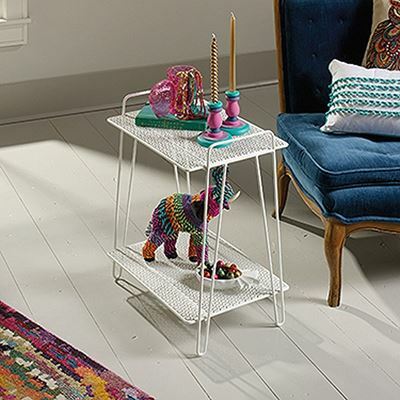 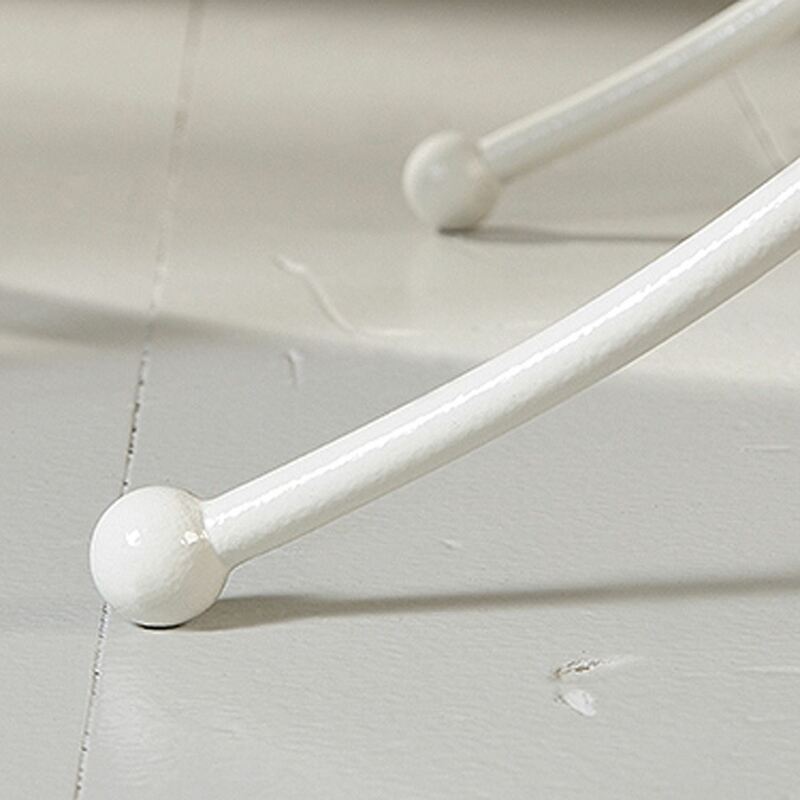 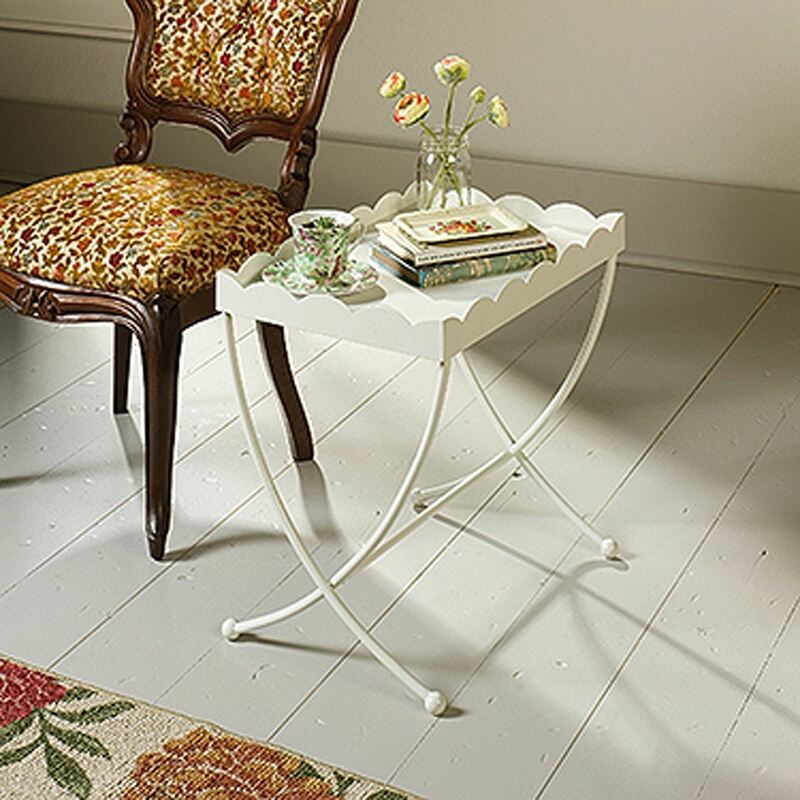 Introduce some retro metal style into your home with this cream colored side table from the Eden Rue collection. 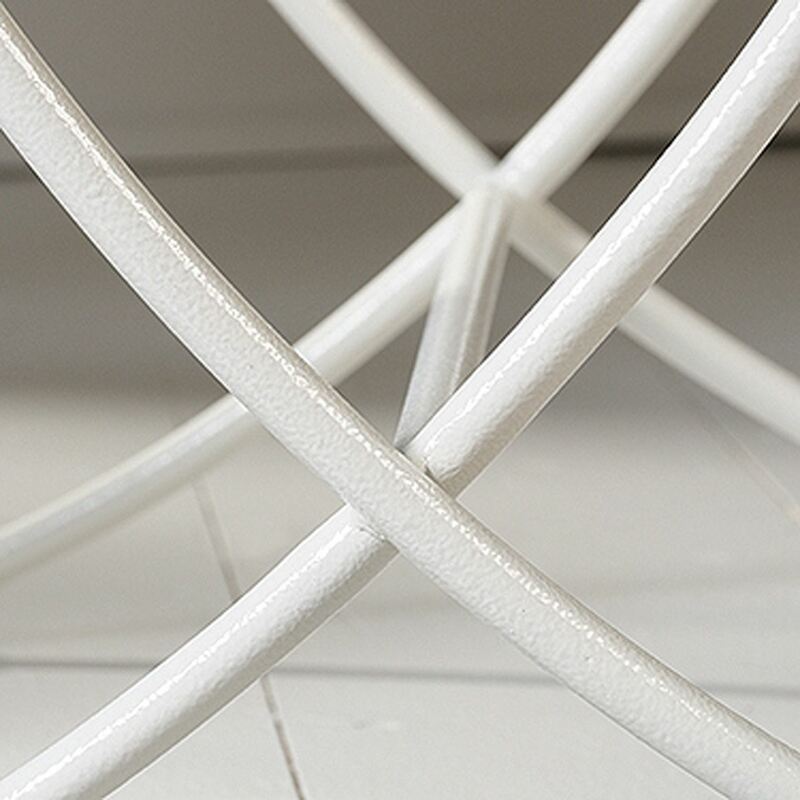 Powder-coated metal finished on all sides so it can be placed anywhere your heart desires. 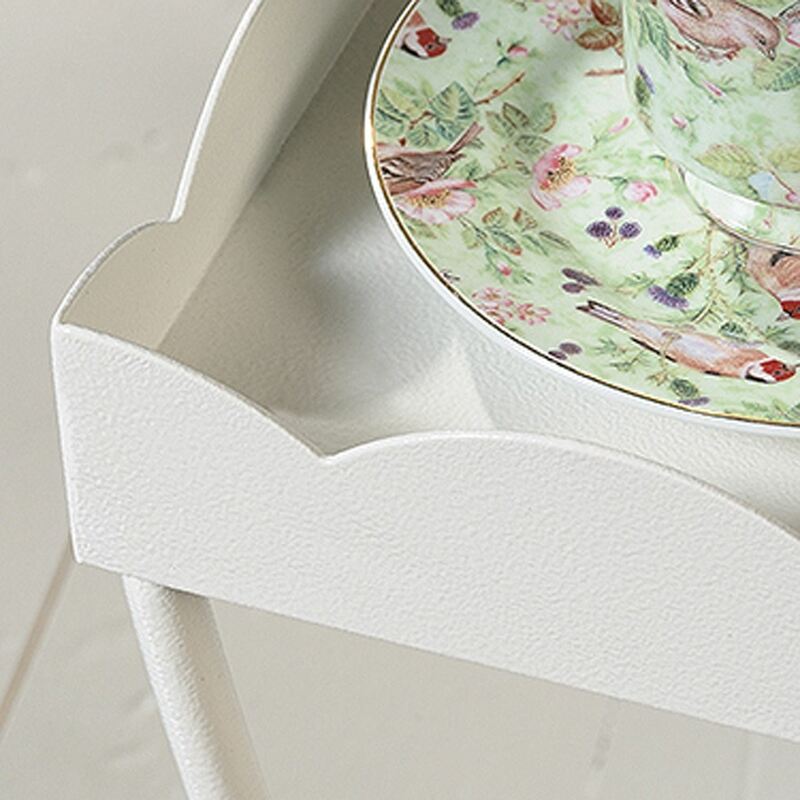 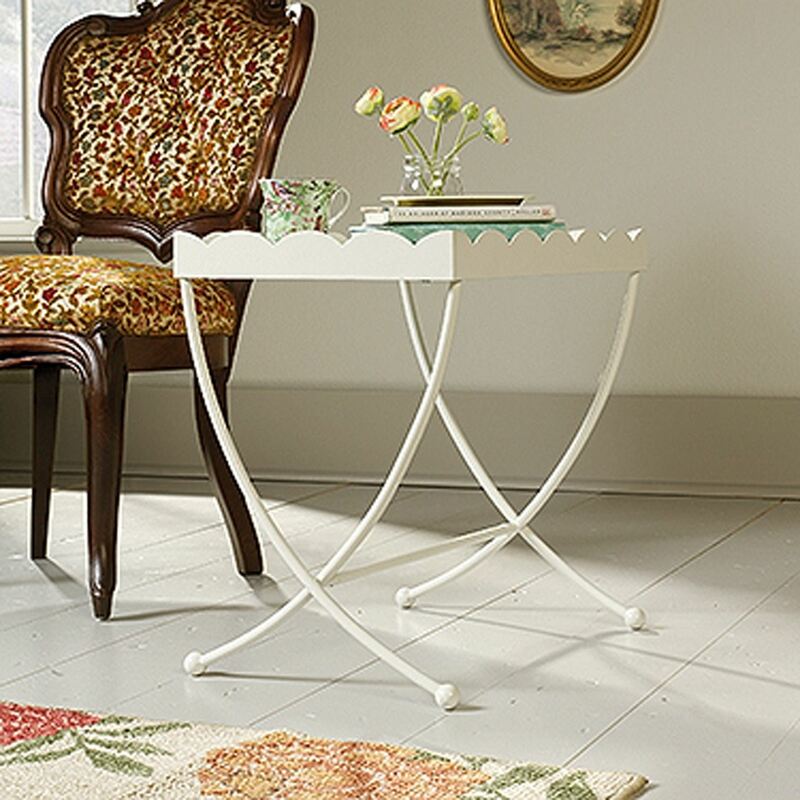 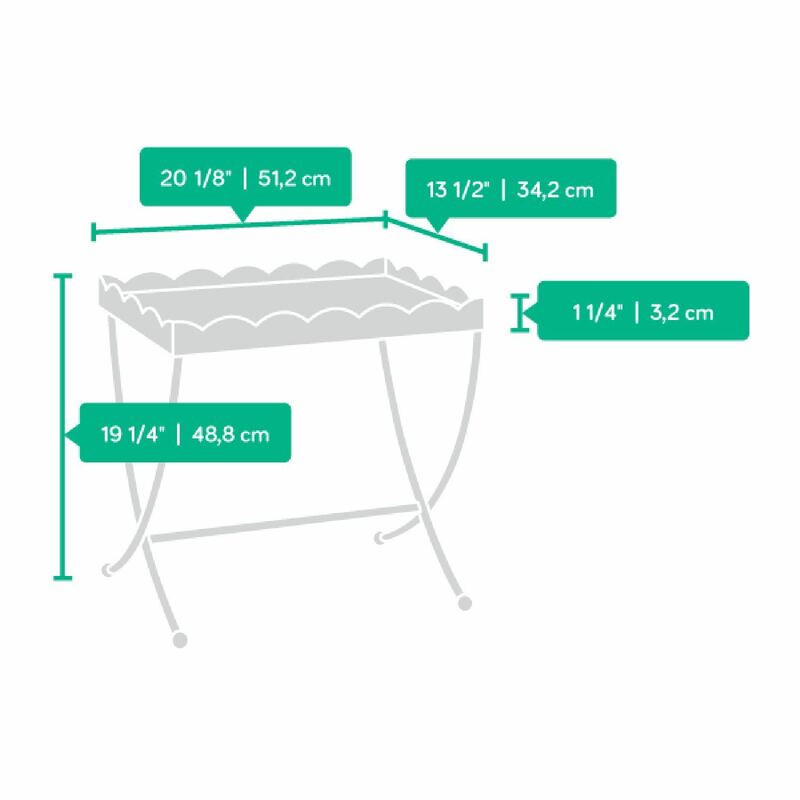 Attached tray features scalloped edges for even more hand-me-down style. Attached tray features scalloped design.